The days and weeks following the tragedy at Aurora, Colorado and Sandy Hook Elementary school have been rife with debate over just how the 2nd Amendment is meant to be read. While it is certainly easy to become caught up in the emotions surrounding such horrific tragedies, I implore you to take a moment to consider not only the history and reasoning behind the Framers’ drafting of the Amendment in question, but also consequences of an unarmed populous. That is, that the federal government cannot take away a citizen’s right to own a gun. The common arguments as to the meaning of the 2nd amendment typically find themselves centered on the portion that discusses “militia,” or on hunting, which interestingly enough, isn’t even delineated therein. In other words, by its very definition a “militia” is an armed citizenry. While the Founders (after much debate over the Articles of Confederation—a pre-cursor to the Constitution which created a far weaker union or “confederation” of the several states) allowed the federal government to provide for the common defense in the form of a “formal” military, the Founders recognized the inherent tendency of mankind to usurp power as a rule and, with the penning of the 2nd Amendment, put a stop to the idea of the government disarming its citizens, regardless of the “good intentions” of such a move. The Founders could have ended the amendment directly after Militia, wording it simply “A well regulated Militia, being necessary to the security of a free state, shall not be infringed. . . ” had their intent been to keep guns solely in the hands of a formal defense group. Instead, they went on to specify “the right of the people to keep and bear arms,” which assumes that each citizen is to be allowed to own a gun, and use it when needed. As mentioned, many also take “gun rights” to mean that private citizens are allowed to use arms to hunt and gather. If I may be so frank, consider for a moment the stupidity of such an assumption. In the days of the Founders, nearly everyone owned some kind of gun with which they hunted for the family. With the exception of some of the larger cities of the day where markets did exist, most lived in small villages or on plots of land wholly isolated from the convenience of markets. To insinuate that the 2nd amendment was framed to protect hunting rights would be similar to Congress today drafting an amendment which ensured that the rights of each citizen to go grocery shopping at Wal-Mart “shall not be infringed.” Naturally, the Founders had personal defense in mind. In other words, YES- there should be laws surrounding gun usage. For these reasons we have laws that delineate self-defense; laws that delineate the process through which guns may be lawfully attained; etc. 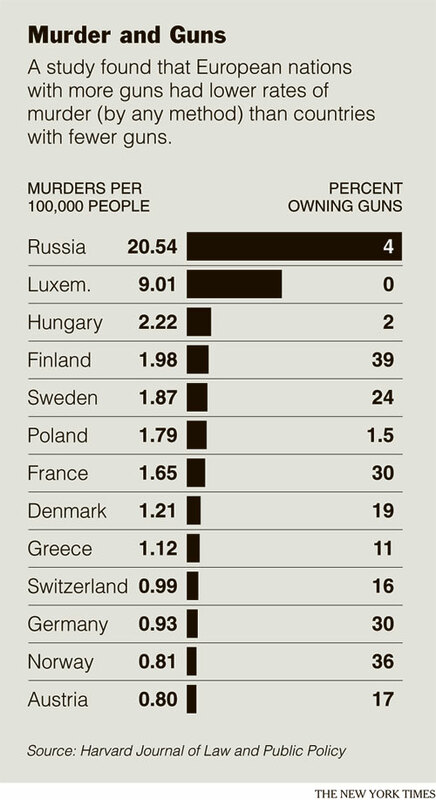 The difference between regulating gun usage and gun ownership is vast. One prescribes the allowable actions of such ownership–primarily, self-defense; the other seeks to partially or entirely prohibit the ownership of some or all guns. Many great points again, Mary. The minute we stray from the constitution (which I still believe has God’s hand in it) we are doomed. It seems that our current administration can take any tragedy and play it up for their benefit and take the eyes and ears of the people off important issues like the national debt and the economy. Not to say that these tragedies aren’t a sad commentary on our society as a whole – but because of them, our people are being bamboozled once again. I especially like the comment that the best way to enslave a people is to disarm them. Keep up the good work, Mary. You’re absolute right about that, Kathy. Divine Providence certainly allow for this nation to become the wonderful nation it was. When you think about it, it’s monumental. Here’s a fledgling group of unorganized colonies taking on the world’s premier superpower. . . and somehow they WON? Only God. Thank you for providing the necessary context for the writing of the 2nd amendment. You are expressing what I have not heard anywhere else -even in the conservation media. Everyone is thinking it, but you are saying it. We must bear arms to protect ourselves from the armed unconstitutional government. So, fast forward 200 yrs. When the armed government now uses assault rifles, then the people must be able to acquire assault rifles to match the government fire power. No Mr. Liberal, assault rifles are not for deer hunting, they are to protect us from a tyrannical government with assault weapons. Of course, anyone who says this loudly must have his gun taken away, because he is dangerous. Don’t spread this question around, but is a gun club a militia? Makes me want to join one. Your great background work has me thinking. Oh excuse me, I hear a knock on my door. By the way, if you get a chance, check out Project Veritas’ latest experiment- in this video you’ll see a liberal talking about how he doesn’t want to ban ALL guns. . . and when probed he tells the guy that he wants some around for with the Conservatives take over. WOW. Isn’t that amazing? ?